4 Tips To Reduce False Alarms | Calgary Alarm Inc.
False alarms, whether home security false alarms or false fire alarms, are very problematic. First and foremost, they take resources away from people who are actually having a real emergency. 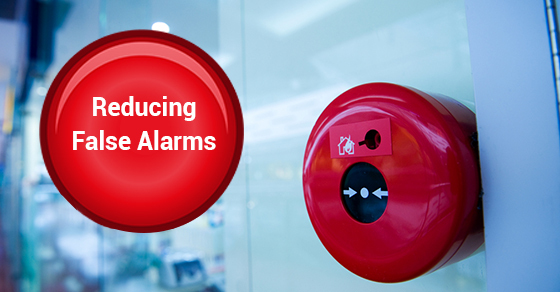 You can reduce all false alarms, regardless of the system, with regular maintenance at least twice a year. Don’t place your fire alarm system too close to areas of the home that produce smoke (like the kitchen) or steam (the bathroom). Some fire alarm systems are old and cause false alarms as a result. Ensure that your fire alarm system is not too old. Surprisingly enough, a large number of false alarms are actually caused by typing in the incorrect code. Of course, caution must be taken when choosing your password. Make sure it is not too easy (i.e., something that a burglar might guess). Consider keeping a list somewhere where it is easily accessible by all family members but not somewhere where a burglar could see the list by looking through a window. Remember to inform all family members when you change the password and don’t forget to share the code with babysitters or guests (as well as the phone number of your security alarm company in the event that an alarm goes off). Proper training sessions to ensure that the relevant people know how to use the system will go a long way in preventing false alarms, too. If you have children, ensure that they know the system is not a toy. If your children are particularly young, place the system high enough that they cannot access it. Look for any activity near your motion detectors that could potentially be setting off your alarm. This could be your pets or something as simple as your air conditioning blowing the curtains in the direction of the sensor. Check for hanging items. If you have pets that wander near your motion detectors, replace those detectors with pet-friendly ones. Pet-friendly sensors are easily purchasable from your alarm company. Ensure that all windows and doors are closed. Consider Calgary Alarm for your choice of state-of-the-art yet affordable alarm systems. We are the best security alarm company in Canada. Contact us today for more information.